Over the past couple of weeks 2 New Jersey racers have been traveling north of the border in an attempt to make their mark on the Canadian motocross scene. 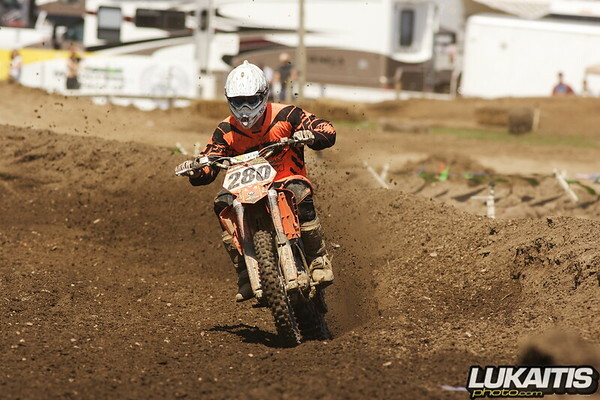 Round 5 was held at Gopher Dunes in Ontario Canada on July 19th. Mt Holly Racing teammates Ryan Gainey and Bryan Wallace finished in the top 20 overall in the premier MX1 class. Wallace’s 15-16 moto finishes netted him 16th overall while Gainey’s 20-18 motos earned him 20th overall. Held at Ste-Thecle in Quebec round 6 was held under torrential rains and forced the normal 2 moto format to be shortened to just one moto. Wallace was able to survive the quagmire and finished 17th. Gainey was able to get a good start and was rewarded for his hard work with 5th place. 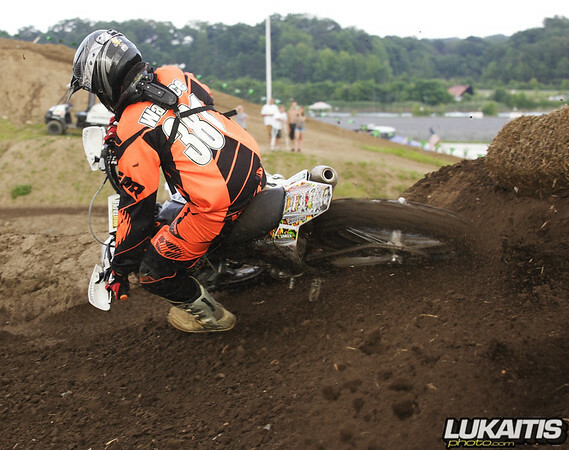 The best ever finish by a New Jersey rider in Canadian motocross. Despite competing in only 2 events both riders are in the top 25 in the overall points standings. Gainey sits in 21st while Wallace is in 25th.